When I first started to train and immerse myself in the world of intuitive eating, one caveat I often heard was that intuitive eating isn't appropriate for early in eating disorder recovery. I couldn't explain why, but it always rubbed me the wrong way. Still, I deferred to the experts, and even put off getting more training in eating disorder work because of it. 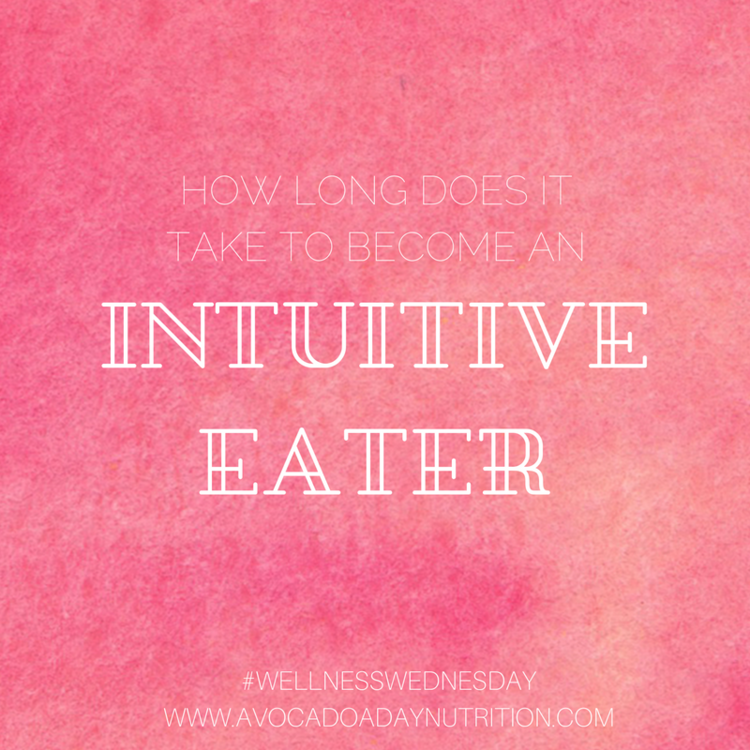 I loved working with intuitive eating, and I didn't want to stray from that path. There's a couple reasons why people often say you can't use intuitive eating in eating disorder recovery. For starters, meal plans are often necessary to help with weight restoration, renourishing the body, and establishing normalized eating patterns. How structured that meal plan is will be different from person to person, based on needs, and the dietitian's approach - but it's definitely more rigid than listening to your body's hunger and fullness cues and cravings and going from there. Also, early, and even well into eating disorder recovery, hunger/fullness cues might not be reliable, or you might not trust them. So we've got to start with a more consistent pattern of eating first. If you've been told you can't practice intuitive eating in eating disorder recovery, you might be feeling discouraged. I think for most people (eating disorder or not) when they hear about intuitive eating, it just makes sense - the idea of it is freeing and exciting and they just want to be there already! So I can imagine being told that it's off limits for you might feel like a bit of a gut punch. And probably, there are parts of intuitive eating that you're not ready for, like eating according to hunger and fullness. But saying someone can't practice intuitive eating because of that plays into the myth that intuitive eating is just the hunger/fullness diet. 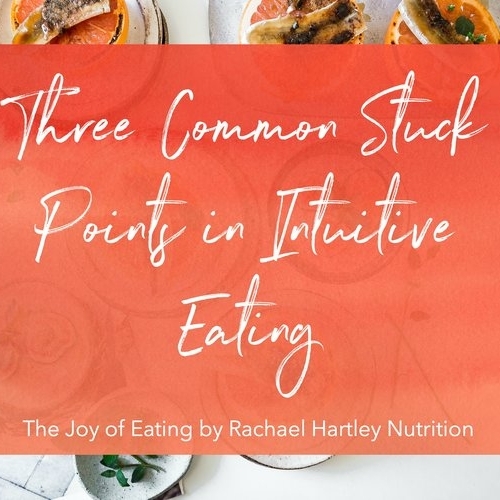 Intuitive eating is much more complex and nuanced than that, with 10 principles for you to explore and incorporate into recovery. Sounds cliche, but intuitive eating is a journey, not a destination. So while you may need a plan with more structure in the beginning of your journey, there are still lessons and tools from intuitive eating that you can work on, right from the beginning. 1. Reject the Diet Mentality - read books like Intuitive Eating, Health at Every Size, and Body Respect, to better understand why dieting and restriction isn't sustainable. 2. Honor your Hunger - feed your body at consistent times/intervals as established by you and your dietitian. Learn to view hunger as simply a cue that your body needs to be fed, not a source of pride or something to fear. 3. Make Peace with Food - create a plan to challenge fear foods, starting with foods that are more lateral moves. 5. Respect your Fullness - this may be challenging for those who are weight restoring, because the amount of food you need may leave you feeling a bit uncomfortably full, and digestive issues are common and can complicate feeling fullness. As appropriate, it may be helpful to take pauses during less challenging meals to observe changes in your fullness level. 6. Discover the Satisfaction Factor - Aim to include more pleasure with your meals, at first with "safer" ingredients, like spices and herbs, and eventually with things that may be scarier, like cheeses and fat-containing dressings and sauces. 7. Honor Your Feelings Without Using Food (my addition: or restriction) - Work with your therapist to explore coping skills and strategies for sitting with your uncomfortable emotions. 8. Respect Your Body - Respecting your body simply means treating it kindly, no matter what you think of it. If you can't feel good about your body, try exposing your eyes to a wide range of bodies by following more diverse people on social media. Check out the highlight reel I created with suggestions. 9. Exercise - Feel the Difference - Part of uncoupling movement and calorie burning is taking a step back from exercise. When it's OK'ed by your team, you may want to start with gentle movement like walking or light stretching to practice being in your body. 10. 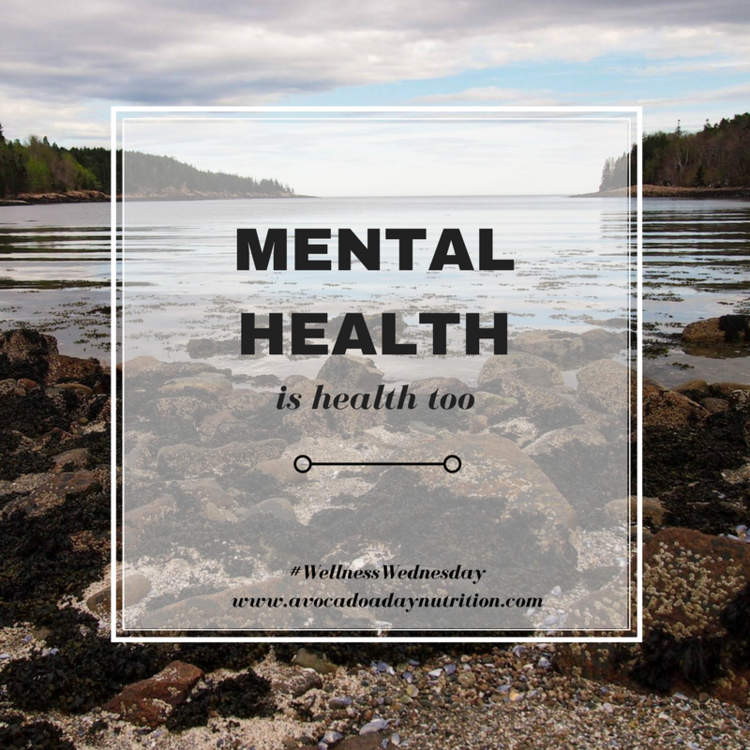 Honor your Health with Gentle Nutrition - Shout out to my genius intern Lauren, who said this to me (and inspired this blog post): "when you're in eating disorder recovery, following your meal plan IS honoring your health." Nutrition is a lot more than eating fruits and vegetables and whole grains. Your most urgent nutrition need may be treating malnutrition, and a meal plan can help you do that. Intuitive eating is a series of tools, not rules. How those tools are used and in what order will look different from person to person. Part of intuitive eating is not putting any foods off limits, but if someone is allergic to shellfish or has celiac disease and can't eat certain foods, we wouldn't say they can't practice intuitive eating, right? So why not if for medical reasons, someone needs a meal plan or can't use hunger/fullness cues, are they excluded from intuitive eating? Eating disorder or not, everyone tackles intuitive eating a little bit at a time. There's no shame in starting with some principles that are more available for you in the moment, and then moving on to the harder stuff as you're ready. If you've used intuitive eating principles in your eating disorder recovery and feel comfortable sharing, I would love to hear your thoughts and experiences in the comments. What intuitive eating tools were most helpful for you in recovery?